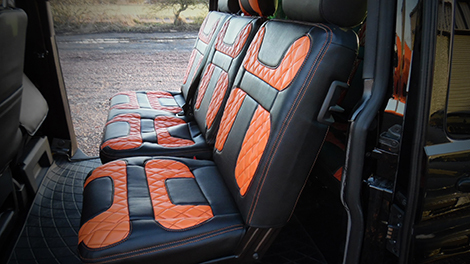 This custom T5 touring van was purpose built for one of our customers to a very specific set of requirements. 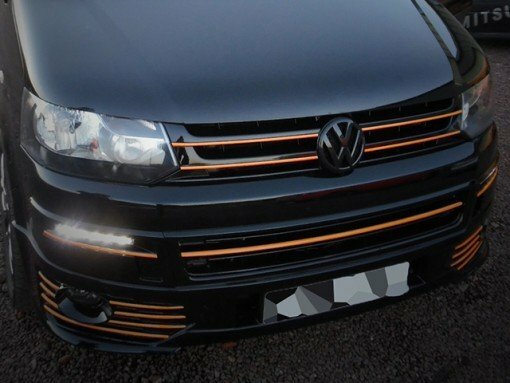 For under the cost of a new T5 Sportsline, we provided a completely rebuilt vehicle with 5 DVD players, 3 televisions, 6-person underseat headphone mixing, satnav, performance brakes, tuning and a full interior refit, amongst many other modifications. Van builds take approx 8-12 weeks. From colour to wheel type, from your entertainment system to your on-road performance, from your interior colour & seat type to your passenger comforts, SVS make it easy and affordable for you to get the vehicle of your dreams on the road. Find out more about this vehicle build, read the full spec list and get some ideas for your project! Find out how much your dream vehicle will cost – it could be cheaper than you think with SVS!